I am not one to let go. One can never call me Elsa. I would prefer my children to be seen and not heard. To speak when spoken to. To keep both feet firmly planted on the ground. To have them never be dirty or trip and fall and tear the knee of their pants. Am I stopping kids from being kids? Maybe. Okay probably. Not that I can stop them from being noisy and rambunctious because believe me, I try. Every single moment of every single day. 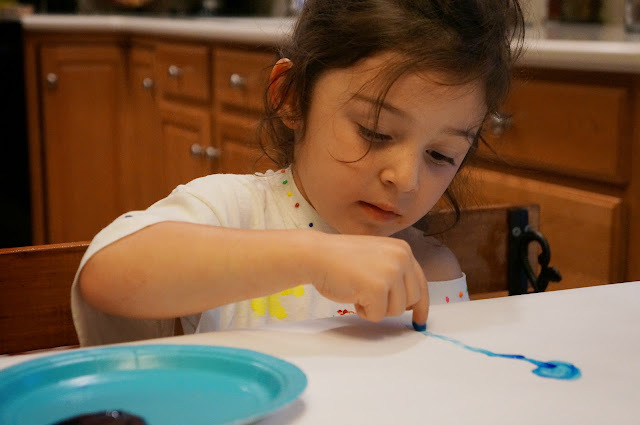 It was never quite apparent to me just how much I may be hindering their childhood than the other night after a rainy day inside when I caved and finally allowed them to use the finger paints Nonna had thoughtfully sent home weeks ago. 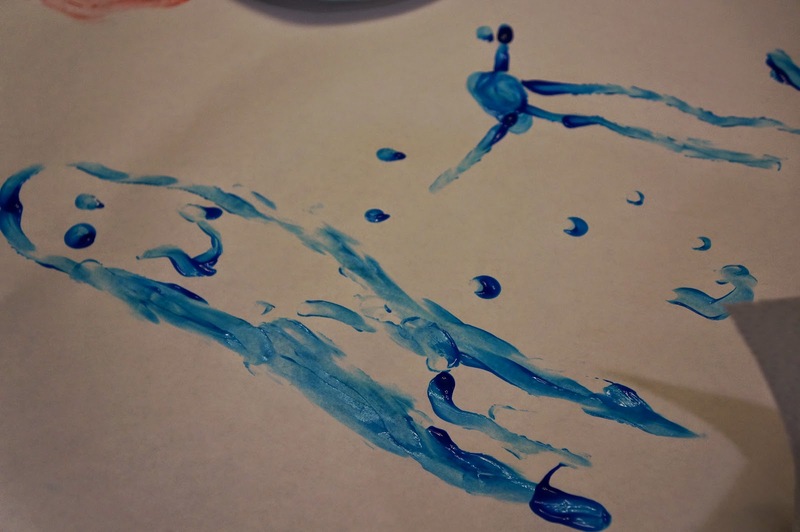 These strange paints were at first met with some hesitation. And where are the paintbrushes Letty queried? 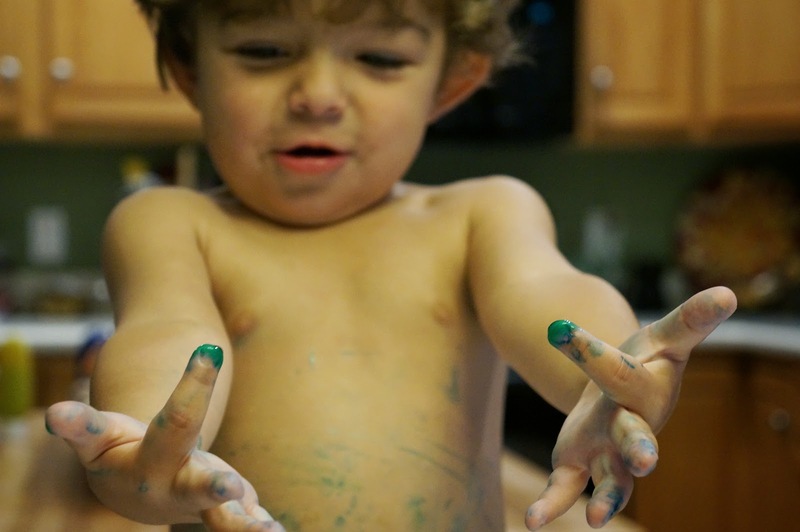 I tried to explain that finger paints are created for use with fingers. Both children were quite alarmed that I removed their clothes beforehand... but I mean let's be honest. Rome wasn't built in a day. 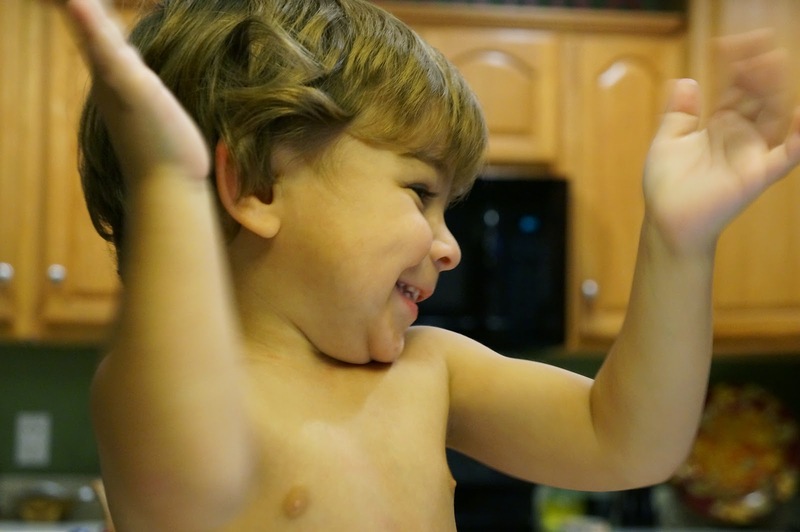 Once the first tentative touch was complete the sheer joy in the room was palpable. And the painting commenced. I personally think David quite enjoyed the radio silence on the front of his mother as he rubbed himself down with hands full of paint. Letty just couldn't get over his actions. Letty seemed to be unaware that more than one finger at a time could play in the paint. I had to assure her that it was in fact meant for that. Which made me feel a bit badly but also kind of proud that she is a rule follower, albeit the rules being my crazy ones. 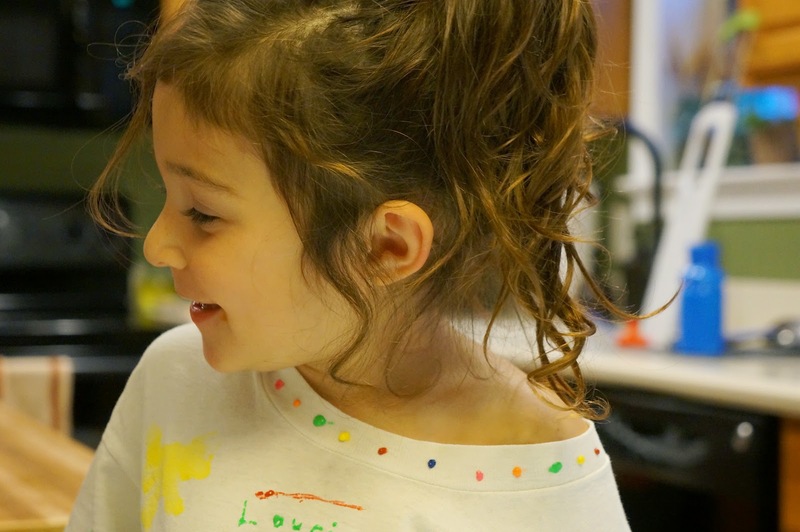 She tried it out with one color only to be astonished that she could then mix the colors. She asked me after dipping her hand in the blue... And now the red? AND the yellow? The mouth hanging open in genuine surprise... yes. All the colors. At. The. Same. Time. Like I said. I think I may be hindering their creative juices with some of my regime. And do not be alarmed. Matt held David at arm's length up to the tubby where he was unceremoniously removed of all paint. Shortly followed by his sister. Not a splinter of my home was damaged in be making of this post. So fun! I love how he rubbed his hands on his belly! Boys do love a good mess! Lol! Good for you mama! 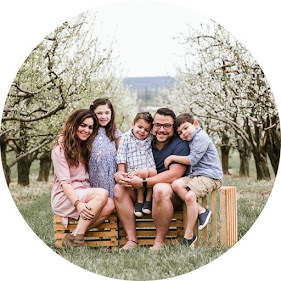 I'm not a fan of messes either, but I have to say I love these pics of your kiddos being kiddos....looks like they had a blast! So cute! And so well written! I love your words, but really, this could have been posted with no words at all. The pictures say it all! you are awesome. 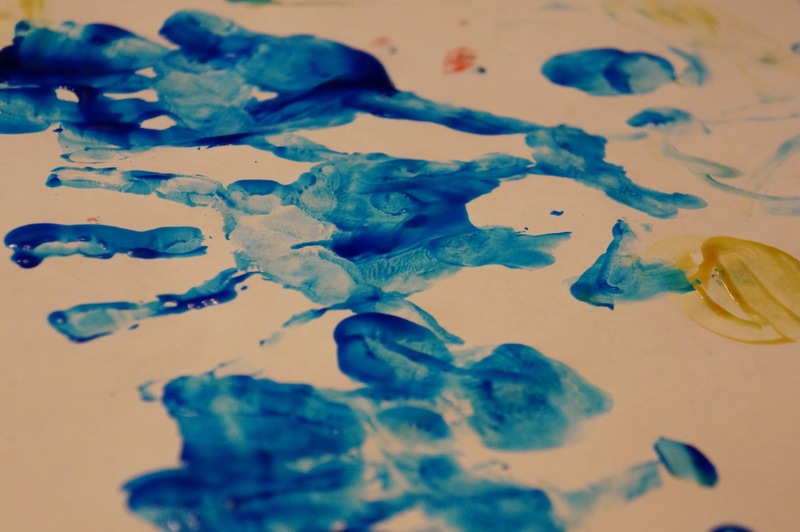 finger painting is risky because it can go downhill so fast. so fast. cute photos! 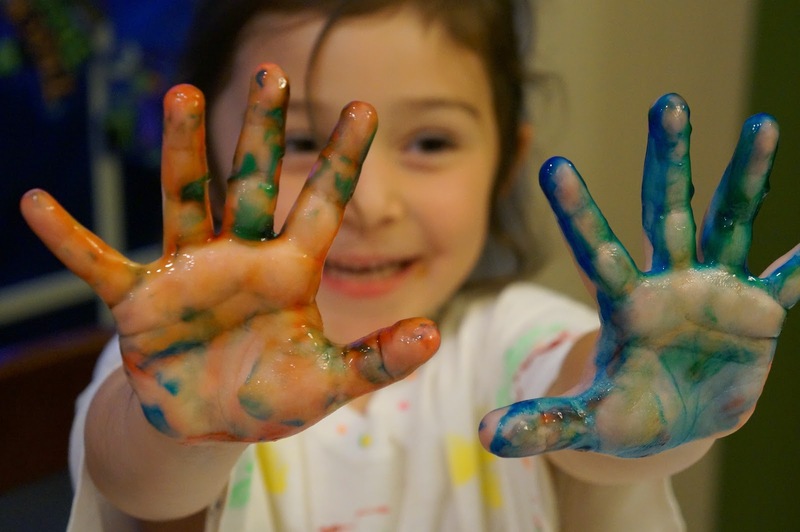 We love finger painting! But, Aria is strapped into the high chair, and I'm usually found hovering saying things like no don't touch that, just the paper!! Well done mom! It's all fun and games until somebody touches the wall. 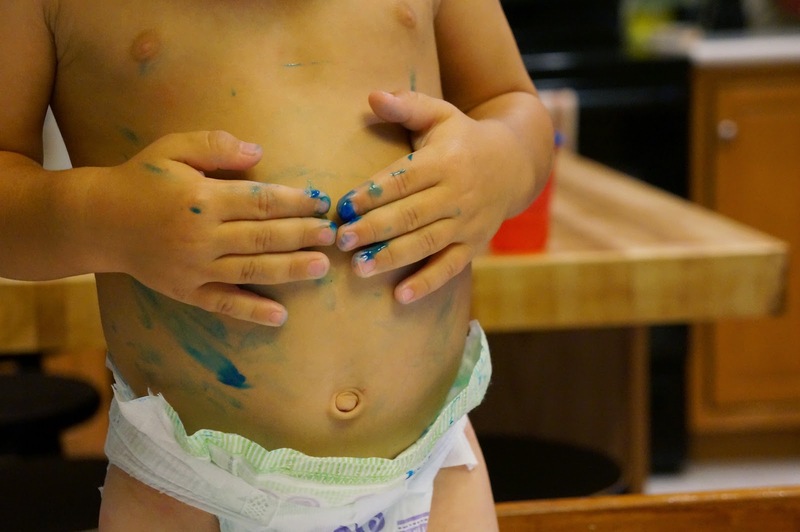 It's cool that you got to document their first time finger painting!